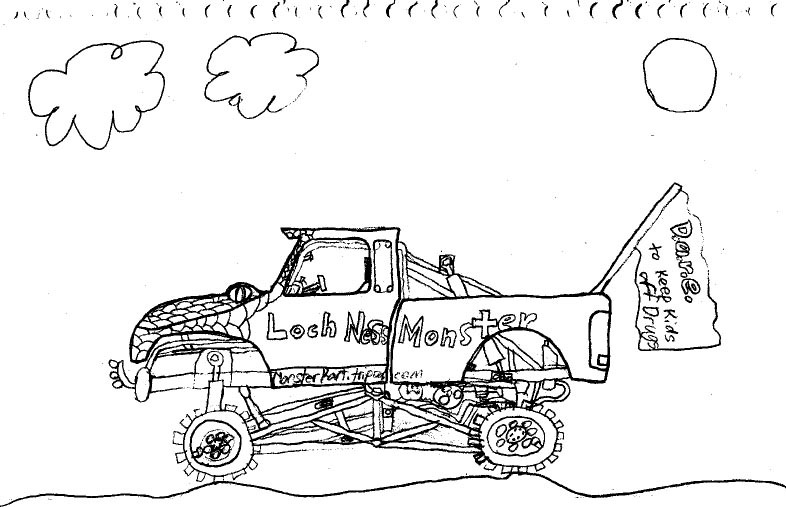 Here are some pictures sent to us by our artistic MonsterKart fans. If you would like to see your pencil sketch or colored marker drawing of Nessie displayed here, follow the simple instructions at the bottom of this page. KEEP UP THE GREAT WORK!! Bradly from St Paul, Mn. If you would like to see your drawing of Nessie appear on this page, simply follow these few steps. 1.) You will need your Parents help to do this. 2.) 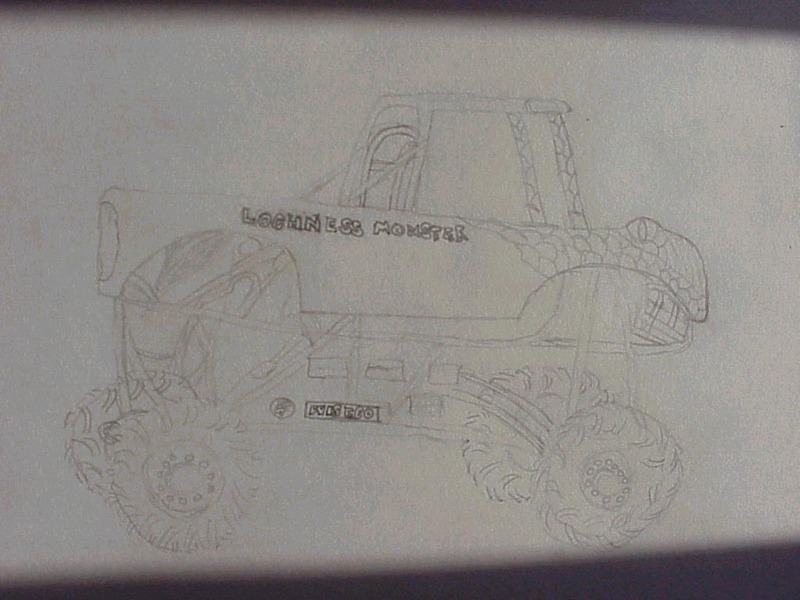 Make your drawing on no larger than a 8.5 x 11.0 piece of paper. (white only). Use #2 pencil or colored markers.On a seperate piece of paper, give us your first name only,your city, and state you live in. 3.) If you have a scanner, send your picture to us attached to a e-mail. 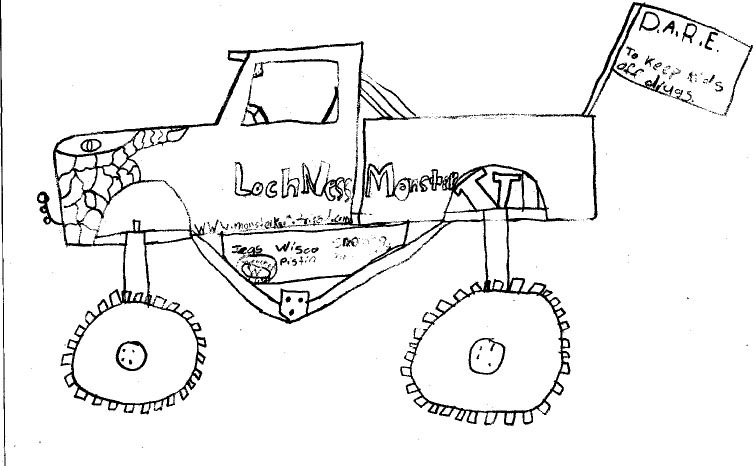 send to..
All pictures become the property of Wagner Boys Racing Toys& LochnessMonsterKart.No Returns.